Η επιστημονική βάση Concordia στην Ανταρκτική είναι μια Ιταλο-Γαλλική εγκατάσταση που βρίσκεται στην περιοχή Dome C στην ενδοχώρα της λευκής ηπείρου, πάνω σε ένα παγωμένο πλατώ και σε υψόμετρο 3233 μέτρα, απέχει δε περίπου 1100 χλμ από τα παράλια. Οι γεωγραφικές της συντεταγμένες είναι 75.1°S, 123.3°E. Η συγκεκριμένη εγκατάσταση ολοκληρώθηκε και άρχισε να λειτουργεί για όλη τη διάρκεια κάθε έτους το 2005. Στην Concordia γίνονται κάθε χρόνο πολυάριθμες επιστημονικές έρευνες που έχουν να κάνουν με τους τομείς της μετεωρολογίας, της γεωλογίας, της φυσικής της ατμόσφαιρας, της αστρονομίας-αστροφυσικής και της βιοϊατρικής. Κατά τη διάρκεια του χειμώνα της Ανταρκτικής (Φεβρουάριος – Νοέμβριος) ένας μικρός αριθμός ατόμων (12-15, τόσο τεχνικό όσο και επιστημονικό προσωπικό) μένουν στη βάση κάτω από ακραίες καιρικές συνθήκες (θερμοκρασία έως και -80 οC και ελάχιστη υγρασία, απόλυτο σκοτάδι για 4 μήνες) εκτελώντας επιστημονικές παρατηρήσεις. Το ίδιο το υψόμετρο της περιοχής (ανάλογο ύψους 3700 μέτρων στην Ευρώπη, λόγω του αραιότερου αέρα στους πόλους) συνεπάγεται χρόνια υποξία για τους διαμένοντες στη βάση. Οι παραπάνω συνθήκες σε συνδυασμό με το γεγονός ότι κατά τη διάρκεια του χειμώνα δεν είναι δυνατή οποιαδήποτε επαφή – μεταφορά από και προς τον υπόλοιπο κόσμο καθιστά τη συγκεκριμένη βάση ίσως το καλύτερο ανάλογο στη γη μιας εγκατάστασης σε άλλο πλανήτη (π.χ. βάση στη Σελήνη ή τον Άρη). Για το λόγο αυτό η Ευρωπαϊκή Διαστημική Υπηρεσία (European Space Agency – ESA) προκηρύσσει κάθε χρόνο μια θέση ιατρού ερευνητή ο οποίος μένει στη βάση για ένα έτος πραγματοποιώντας διάφορα ερευνητικά πρωτόκολλα που μελετούν τις συνέπειες της υποξίας και της μακρόχρονης απομόνωσης στην ψυχολογία και τις σωματικές λειτουργίες του ανθρώπου. Τα πορίσματα των ερευνών αυτών οδηγούν σε λύσεις προβλημάτων και βελτίωση των συνθηκών ζωής ανθρώπων που ζουν κι εργάζονται σε ακραία περιβάλλοντα στη γη και αστροναυτών σε μελλοντικές διαστημικές αποστολές. 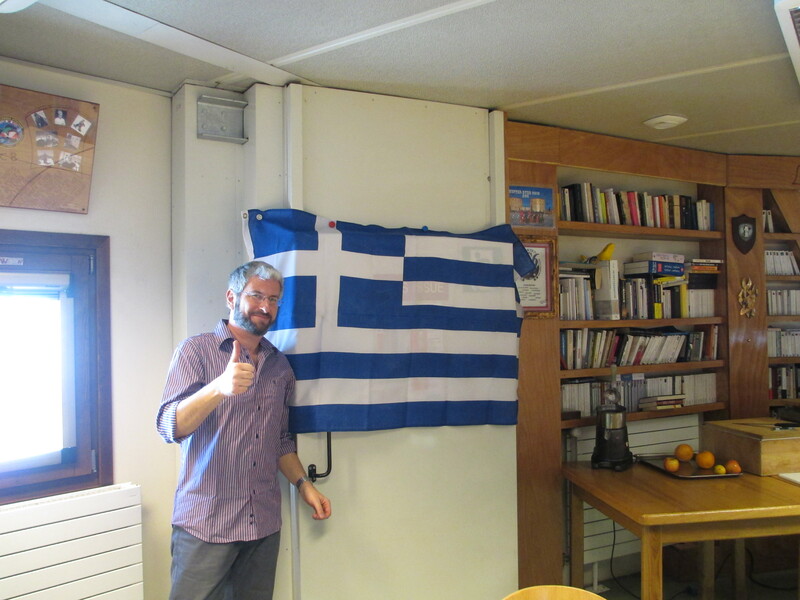 The new ESA-sponsored medical research doctor for Concordia, Evangelos Kaimakamis, arrived on 22 January. We decided to wait to post his first blog entry written shortly after arrival, due to the plane crash in Antarctica late January. This crash further proof if any was needed that Antarctica is a harsh and dangerous continent. Our thoughts go out to the people and family involved in the crash and all who work on Antarctica. 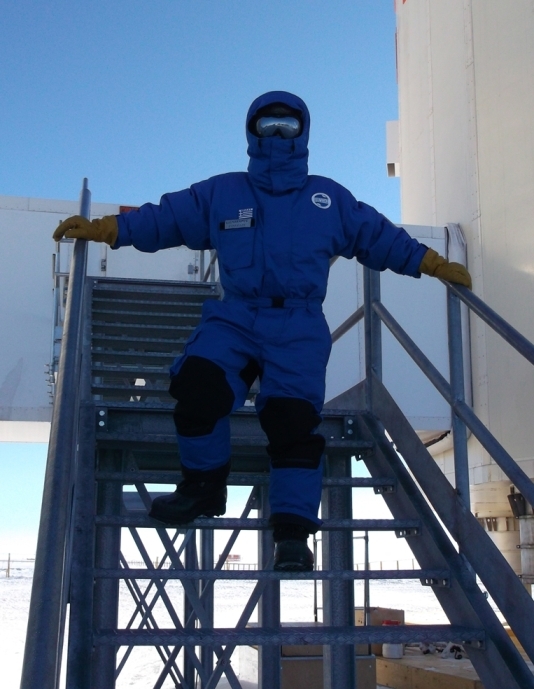 After a really long and tiring journey that took me from my home country, Greece, to Frankfurt, Singapore, Sidney, Christchurch in New Zealand and from there to McMurdo base in Antarctica followed by Terra Nova base, where I stayed for a week due to weather conditions, I have finally arrived at Concordia base! 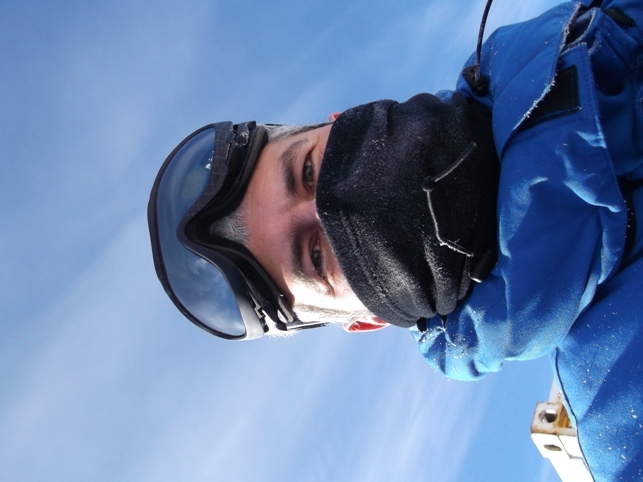 During the last nine days I accumulated 35 flight hours – the last few hours where on aircraft with skis landing on snowstrips in the middle of nowhere! The trip itself was an adventure, so I can only imagine how challenging it will be staying here for the winterover. The diversity of the landscape was also a unique experience: From the first tabular icebergs spotted when flying over the outskirts of Antarctica, the close encounters with penguins, sea Skuas and seals at Terra nova bay to the vast areas of totally level white surfaces at Dome C. The visibility is extraordinary and I keep thinking about the starry nights over Concordia in a few months! 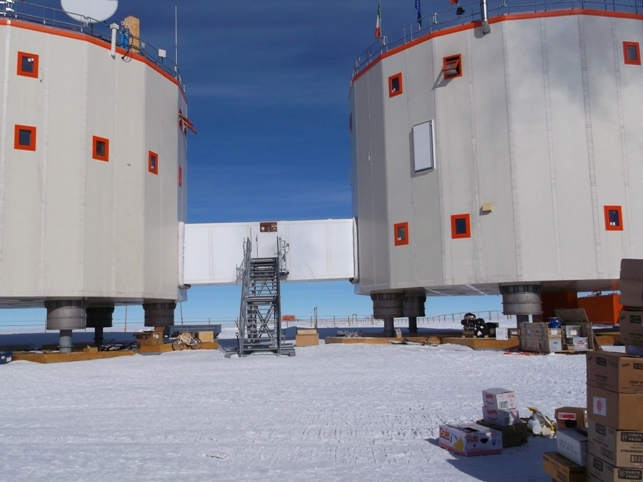 Concordia base is situated on an icy plateau with an elevation of 3233 m which is equivalent to 3700m at lower latitudes, which simply means that there is not enough oxygen in the air for normal levels of activity. I have to get used to breathing a little heavier and getting tired easier, at least until my body compensates for these conditions. 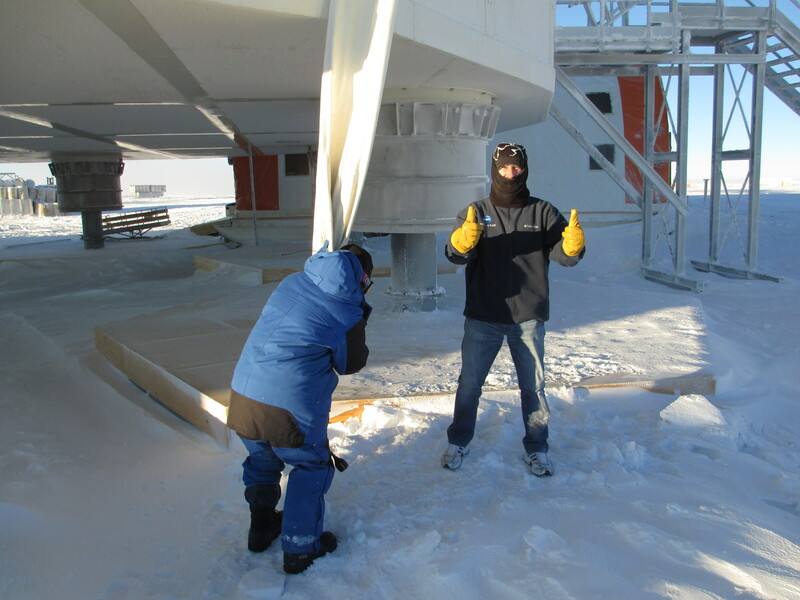 It is also quite cold here, for example the current temperature is -33oC with a windchill of -44oC! You notice the cold wind as soon as you get out of the aircraft arriving here! Another amazing fact (at least for someone coming from a Mediterranean country) is that the sun never sets during the day at this time of year. You can go out for a walk in the broad daylight at 4 am! Presently the station is a beehive of more than 50 people living and performing their tasks, but from the beginning of February only 15 people will stay here until the end of the year. 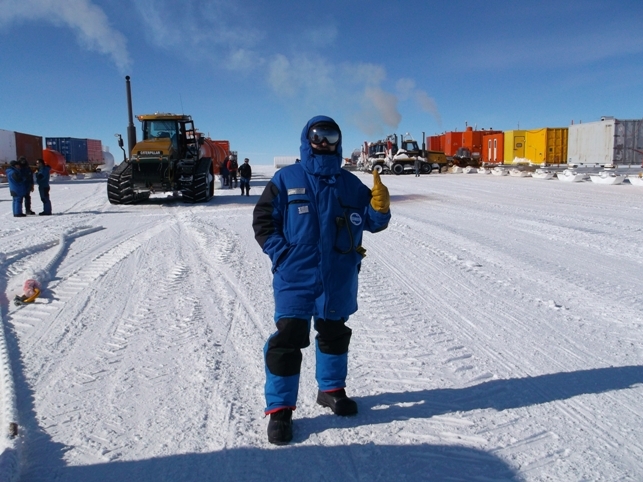 Living and working in such conditions plus dealing with the effects of constant darkness and isolation during the winterover is definitely an achievement but also a matter of great scientific interest. Concordia is one of the most appropriate places on Earth to simulate bases in other planets such as the moon or Mars and conclusions drawn here from biomedical experiments can help astronauts in future space missions but also people living and working in extreme and confined places on our planet. This is why every year ESA sponsors a research medical doctor to be part of the winterover crew at Concordia and study the effects of all these adverse parameters to the human body and mind. 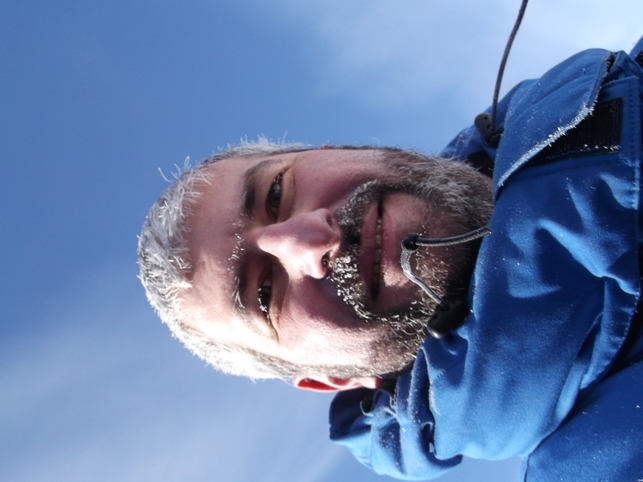 This year I have the honor and responsibility to be part of this research campaign and get a little taste of the life of the original Antarctic explorers. So here I am standing some tens of thousands of kilometers away from my home and family, making new friends, living in a continent of excessive beauty and wilderness and feeling a bit out of our planet as I used to contemplate it. Let us begin the scientific work and live up to the challenge! And now… The winter ahead! 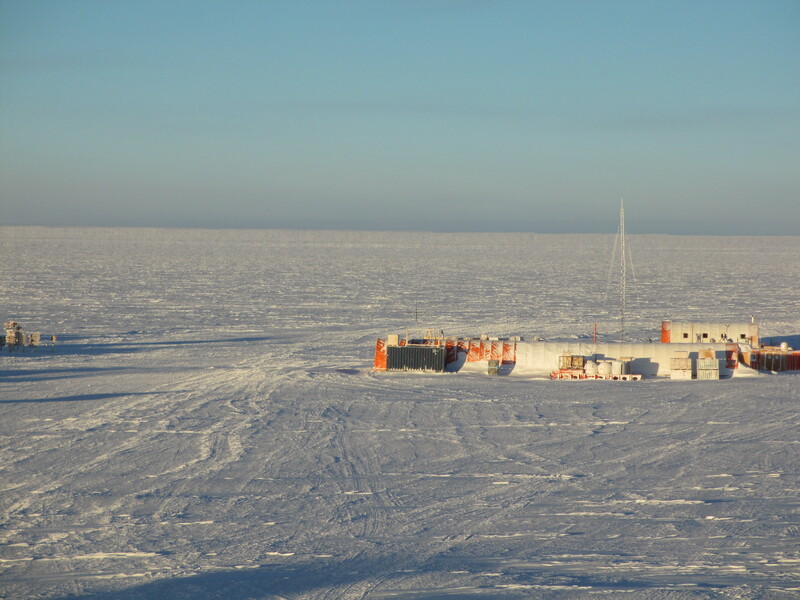 The summer crew of Concordia has left the base and it is only the group of the 15 winteroverers that remain in the base now! About three weeks ago we saluted the last plane that took off from our skiway leaving us alone in the middle of nowhere for the next 9 months. It was like an old movie scene actually: The old DC-3 Dakota airplane firing up its engines and slowly moving away in the smoke and snow lifted by the propellers and us waving goodbye in mixed emotions, thinking about the long winter ahead of us… Something like the closing scene from Casablanca movie! But before this, it was the arrival of the Traverse with the last 120 tons of food, fuel and equipment that kept us busy for 5 days. And it wasn’t little that we did: We had to unload the Raid, organize the supplies for the winter and place them in the appropriate containers or refrigerators ensuring that they will be sufficient for the following 10 months. Also, talking to the Traverse staff, who had made a 1100 km travel on the ice to reach us from the coastline of the continent, gave us a different perspective and a nice subject for discussion until their departure a few days later. 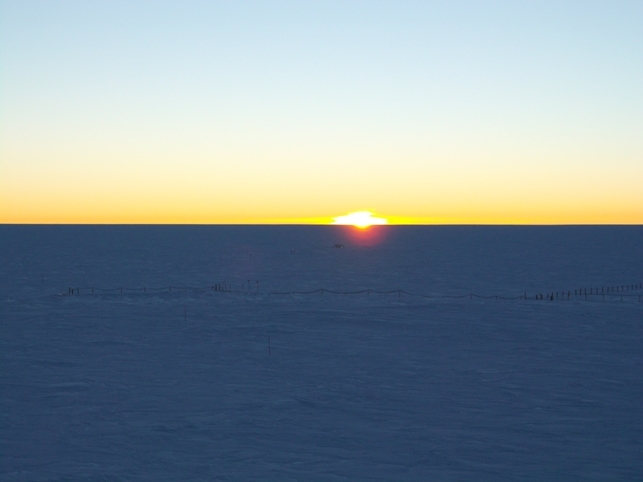 At that day the smoke from all these engines rose into the sky covering the abundant Antarctic sun for a while. Watching these impressive tractors moving together and pulling the large fuel tanks, containers and living compartments reminded me of the desperate efforts of man to conquer nature and harness its forces in this wildest of the lands. 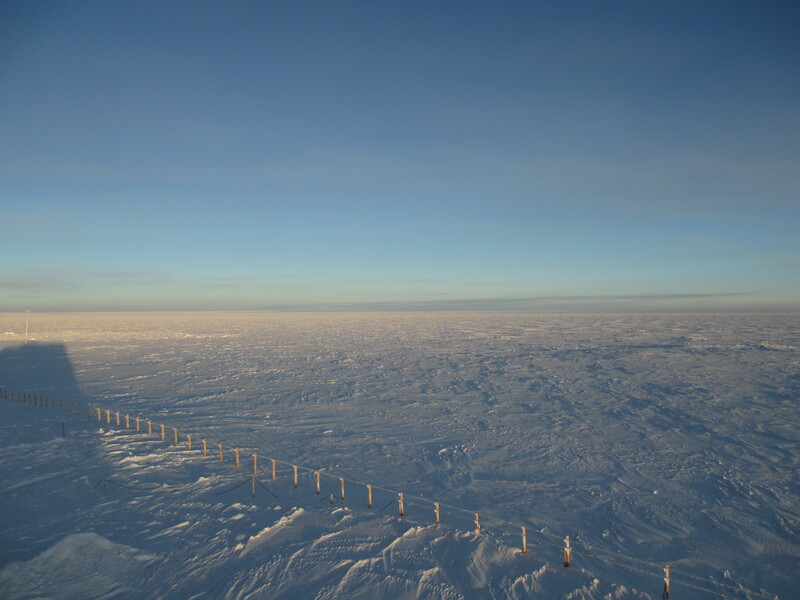 During the next period of time, the temperature began to diminish averaging at -45 oC while the sun was considerably lower in the horizon. It was then that we witnessed the first sunset on the 12th of February. The cameras were ready and the official end of the local summer had arrived! So the last plane has departed and we have all the time in the world to organize our everyday lives and our technical or scientific tasks. Indeed all the ESA biomedical protocols have been initiated, certain technical issues have been resolved and the joy of conducting research related to space medicine in this isolated settlement on earth is fulfilling. I serve as a test subject for the various experiments myself, which offers me a hands-on approach on the difficulties, constraints and solutions related to this type of research. The rest of the people in the group are very helpful and the morale is high. Apart from the purely scientific work, my duties involve my participation in everyday communal chores and of course, during our free time we usually play some games, and socialize in order to form a robust group with the best prospect for the difficult winter we will have to face. A few days ago we shot our group photo outside the base with the setting sun under the ice in the background. 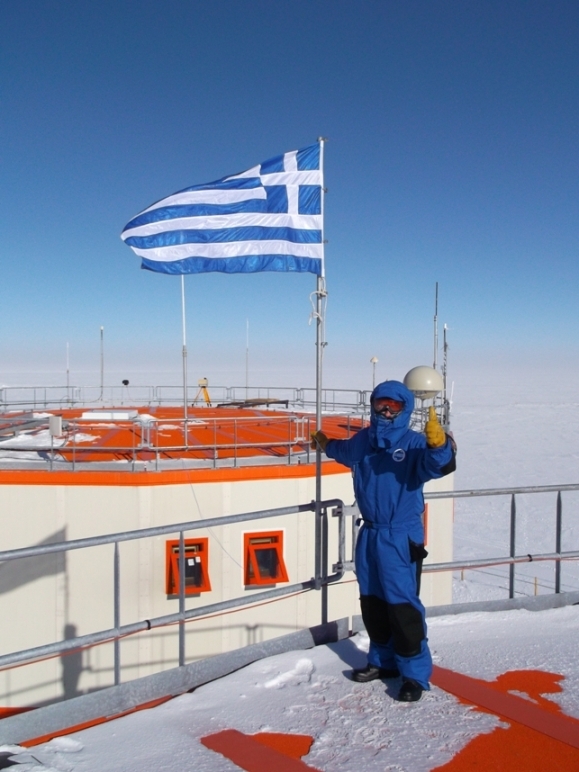 I also had the chance to raise the Greek flag (perhaps for the first time in Antarctica), something that made me proud and boosted my morale for the rest of my campaign here! 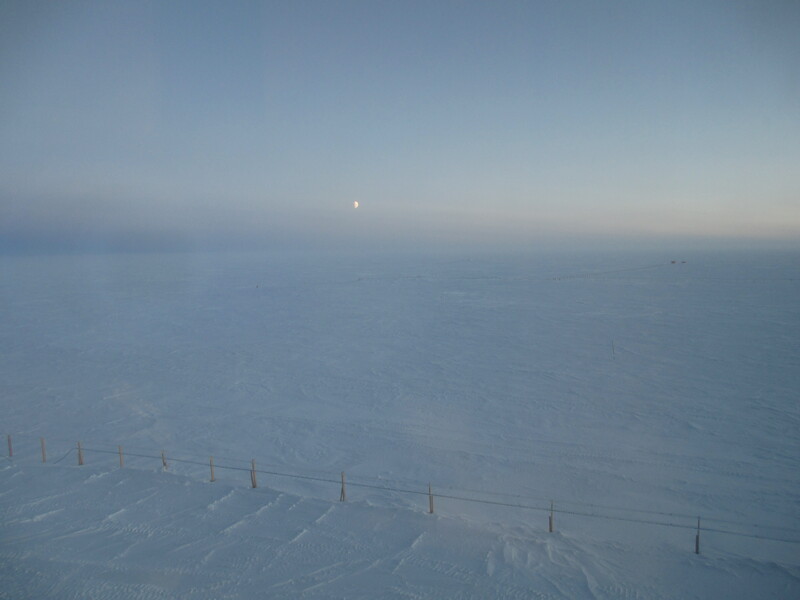 A few days ago we saw the moon rising for the first time as well, a marvelous spectacle, a clearly symbolic event marking the imminent prevalence of night in the polar region. At least we will have the unique privilege to enjoy a night sky which is impossible to see anywhere else in the world! I can’t wait for this view! With our families and beloved ones thousands of miles away and the thought that we are still at the beginning of this adventure, we cannot but hope for the best and struggle to be efficient and functional both as entities and as a unique group of people. Απόψε το βράδυ βγήκα έξω από το κτίριο και περπάτησα για μισή ώρα με εξωτερική θερμοκρασία -70,6 βαθμούς Κελσίου και λόγω ενός ανέμου 7,8 Κόμβων, η αίσθηση ήταν -90 βαθμοί Κελσίου! Μοναδική εμπειρία, όπως μοναδικό ήταν και το θέαμα που είδαμε στο νυχτερινό ουρανό την περασμένη εβδομάδα: Το Νότιο Σέλας έκανε την πρώτη του μεγαλοπρεπή εμφάνιση!! As concerns the biomedical research conducted here, this year I am in charge of 9 different research protocols accepted and supervised by ESA but organized and supported by various research institutes in Europe and the US. 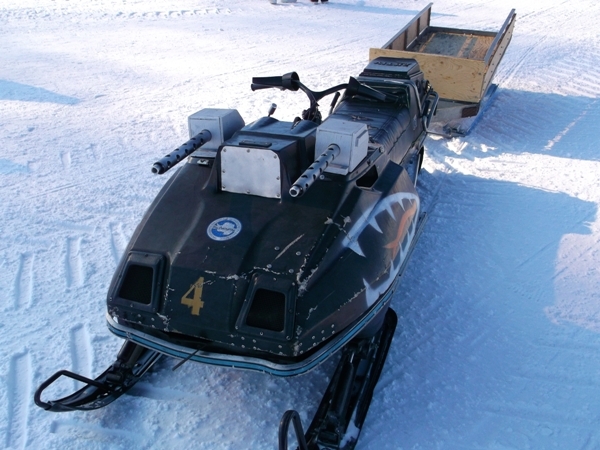 To elaborate on the spectrum of these projects, some of them have to do with administering psychology questionnaires or computer recording applications to the crew members, as mood and state of mind are likely to change during the winterover and many stressors are present in a confined environment like Concordia. Social cohesion and cooperation between team members is also measured through computer based applications executed periodically, while other computer programs are developed and tested as an electronic partner to rely on in unexpected and complex situations. Special medical devices are used to calculate the resting metabolic rate of individuals in conjunction with monitoring the daily activity and the food intake, in order to correlate these with the mood profile of every person and their alteration through time. Other experiments deal with the cardiovascular system and postural performance or with measurement of hormones or RNA in the blood and saliva. Of course there is a project requiring sleep recordings, as sleep patterns are highly affected by hypoxia, darkness and isolation here. Finally, some specially designed antimicrobial materials are exposed in Concordia to evaluate their effectiveness and suitability for long term future space missions! One can access the link: www.esa.int/Our_Activities/Human_Spaceflight/Concordia/This_year_s_science for more detailed information about what we study here. But living in Concordia is not only about studying and working! The place here is like no other in the world and we are constantly reminded of this fact every time we step out of the main entrance of the base: The total white vast serenity we gaze at during sunlight or the magnificent starry night sky with the galaxy line (the “Milky Way”) crossing the dome above us, everything is adding to the concept of Concordia Wonders – as I like to call it! 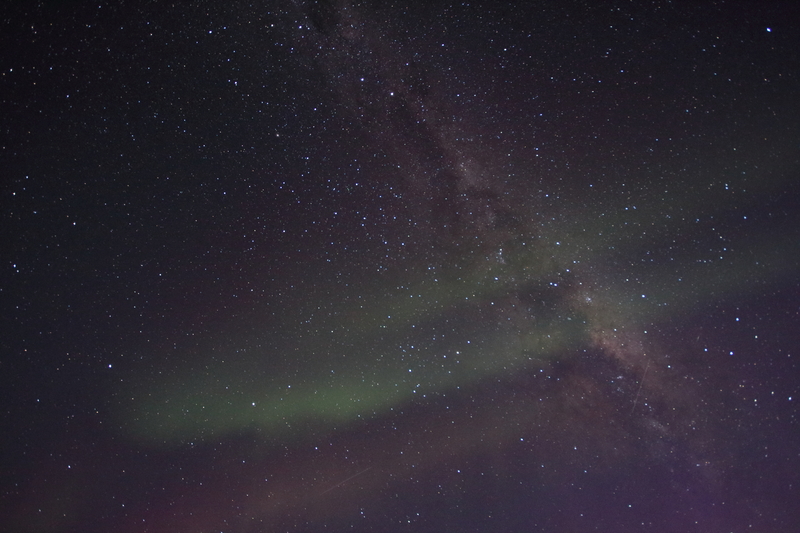 Perhaps one of the most wonderful sightings we are able to admire here is the Aurora Australis, this unique formation on the night sky caused by the bombardment of Earth’s atmosphere by the solar wind particles. And guess what – we already saw Aurora a couple of times two weeks ago! Words cannot describe the feeling one has looking at these green and yellow slowly moving subtle formations stretching from one side of the horizon to the other, like the gentle caress of the sun on Earth’s sleeping surface! I was lucky enough to be outside with the astronomers that night and as you can imagine the cameras were on fire to capture this extraordinary view. And as we are still in the beginning of the darkness period, we expect to witness many more spectacular Auroras! During the last week the night was dominated by the moon so the sky had a different face, romantic and full of light! (I should add here in relation to a recent comment, that we do not only see the full moon but the crescent phase as well…). At present the night lasts for almost 14 hours and quite often the temperature drops to -72 degrees Celsius! A week ago we celebrated Easter. Our chef Luigi had prepared a great treat for everyone: The menu was comprehensive and we all ate a fine assortment of 4 courses plus dessert, a day to remember from a gastronomical point of view! Ατενίζοντας με αισιοδοξία τη λευκή ήπειρο! Σηκώνοντας περήφανα την Ελληνική σημαία για πρώτη φορά στην Ανταρκτική! από άσκηση εκκένωσης της βάσης μέσω ελαστικού σωλήνα! Λοιπόν, περιμένω με ανυπομονήσια την συνέχεια. Kαι η νύχτα δεν είναι ποτέ φοβερή όταν ξέρεις ότι οπωσδήποτε θα ξημερώσει ….. έστω και αν αυτό ειναι μετά από μήνες . Θα μπορούσες να μας γράφεις στο ελληνικό blog λίγα πράγματα για την καθημερινότητα στο σταθμό ; π.χ. πως ειναι οι χώροι διαμονής , τι τρώτε καθε μερα , ποιος μαγειρεύει , κλπ . Συναδελφε Μπραβο .καλο κουραγιο .Τωρα που ξερω οτι εισαι εκει και μιλας με το Θεο,να ξερεις οτι θα εχεις και αλλον ενα που θα σε σκεπτεται . Πραγματικά εντυπωσιάσθηκα και εντυπωσιάζομαι απο την εμπειρία που περνάτε και ειλικρινά σας ζηλεύω ! !, παρόλες τις δυσκολίες που προφανώς υπάροχυν ειδικά αυτήν την περίοδο! Συγχαρητήρια και πάλι σαν Ελληνας , αλλά και σαν άνθρωπος ! Γιατί το σκι-ντοο είναι οπλισμένο.;.. και μάλιστα με 2 πολυβόλα.!.. Θα απαντήσω σε ένα μόνο σημείο που το θεωρώ αναμφισβήτητο. Το πρόβλημα, όπως το έζησα στον Βόρειο Πόλο, δεν είναι οι 4 μήνες νύχτα.!.. είναι οι 4 μήνες συνεχή ημέρα. Την νύχτα, αν και λίγο …μελανχολείς, τουλάχιστον αναπαύεσαι. Κοιμάσαι βαθεια και αδιάσπαστα. Την ημέρα ο βιολογικός σου κύκλος (Circadian Rhythm) goes bananas. Δεν μπορείς να βρεις μια στιγμή βαθιάς ικανοποιητικής ανάπαυσης. Το μόνο πράγμα που είναι σχετικά αδιαφανές είναι το αλουμινόχαρτο. Βάζαμε αλουμινόχαρτο στα παράθυρα προσπαθώντας να κάνουμε λίγο …νύχτα. Χωρίς απόλυτη επιτυχία. Βεβαίως κάθε οργανισμός (και κάθε ιδιοσυγκρασία) έχει τις δικές της αντιδράσεις. Ο Βόρειος Πόλος, όντας ωκεανός, είναι πολύ πιο ήπιος από την Ανταρκτική. Άλλωστε το πιο μακροχρόνιο διάστημα από το οποίο έχω εμπειρίες είναι 64 ημέρες απόλυτη νύχτα και 3 περίπου μήνες απόλυτη και εξοντωτική ημέρα. Πάρα πολύ ενδιαφέρον άρθρο, ακόμα και για τις δικές μου εμπειρίες. Τώρα βέβαια το γεγονός ότι ο πλησιέστερος γαλαξίας (το Μικρο Σύννεφο του Μαγγελάνου) δορυφόρος του δικού μας γαλαξία, απέχει 150.000 έτη φωτός με κάνει να θεωρώ ότι το : «…σε λίγα χρόνια θα στείλουμε αστροναύτες σε άλλους γαλαξίες θα πρέπει να είναι προστατευμένοι…» είναι λίγο …αισιόδοξο.!.. Ευχαριστώ πολύ για το σχόλιο. Πού βρεθήκατε στο Βόρειο Πόλο; Θα ήταν ενδιαφέρον να μιλήσουμε από κοντά να ανταλλάξουμε τις εμπειρίες μας! Όσο για την αποστολή αστροναυτών, σίγουρα μιλάμε για αποστολή στους γειτονικούς πλανήτες στην καλύτερη περίπτωση! Βέβαια ακόμα και οι αποστολές στον ISS έχουν παρόμοιες προκλήσεις να αντιμετωπίσουν, σε μικρότερη κλίμακα. Είδα στο blog σας την φωτογραφία από αυτό το γέρικο αεροπλάνο, τον πρωταθλητή των αερομεταφορών στης πολικές περιοχές, το Γαλλοκαναδικό “Twin Otter” και βυθίστηκα στις αναμνήσεις μου. Τον ίδιο τύπο χρησιμοποιούσαμε και εμείς και μου κάνει έκπληξη ότι χρησιμοποιείται ακόμα μετά από τόσα χρόνια. Βρέθηκα στην Αρκτική εργαζόμενος σαν Πολιτικός μηχανικός, σε μια Καναδική εταιρία “Research and Development”. Το κύριο αντικείμενο της έρευνας ήταν η δυνατότητα χρήσης του πάγου σαν δομικό υλικό. Κατασκευές αεροδρομίων, λιμενικών εγκαταστάσεων, πλωτών κατασκευών (γέφυρες, πλατφόρμες γεωτρήσεων) από πάγο. Ήταν η εποχή που το ερευνητικό πρόγραμμα για τον προσδιορισμό των κοιτασμάτων υδρογονανθράκων στην Αρκτική βρισκόταν σε πλήρη ανάπτυξη, 1973 με 1980. Διαβάζοντας την έκθεσή σας, αισθάνθηκα κάπως σαν “στο σπίτι μου”. Μπράβο σας. Γνωρίζω τι είναι η ζωή εκεί πάνω (ή κάτω). Έντονα συναισθήματα μου προκάλεσε και η Ελληνική σημαία, εκεί στην Ανταρκτική. Ξέρετε Κύριε Καϊμακάμη.;.. Πολλοί καλοθελητές προσπαθούν και συνεχίζουν να βομβαρδίζουν τον λαό μας με ιδέες ότι τάχα οι Έλληνες δεν είμαστε αντάξιοι των προγόνων μας. Τίποτα δεν θα μπορούσε να είναι πιο μακριά από την αλήθεια. Το δείχνουν μυριάδες λεπτομέρειες. Αλλά και η συμμετοχή μας στα ερευνητικά προγράμματα των πολικών περιοχών, η Ελληνική σημαία στην Ανταρκτική, το αποδεικνύει. Σας ευχαριστώ γι’ αυτό.!.. Τώρα πια ζω αποτραβηγμένος στην Ικαρία. Θεωρώ μεγάλη μου τιμή την επιθυμία σας να συναντηθούμε να συγκρίνουμε τις «σημειώσεις» μας. Ταξιδεύω αρκετά συχνά και τίποτα δεν θα εμποδίσει μια επίσκεψη στην Θεσσαλονίκη (όποτε σας βολεύει). Πολύ συγκινητικό μήνυμα ελπίδας, δύναμης, κουράγιου, διάθεσης για ΖΩΗ! Σας ευχαριστούμε! Βαγγέλη, πολύ ωραία η παρουσίαση και η εμπειρία–ανυπομονούμε να την ακούσουμε ζωντανά στο προσεχές συνέδριο. Καλή συνέχεια! καλή δύναμη και ευχαριστούμε που μοιράζεστε μαζί μας την εμπειρία σας! Τα συγχαρητήριά μου! Σας θαύμασα αν και δε σας γνωρίζω όπως οι περισσότεροι παραπάνω. Θα ήθελα να μάθω από που πηγάζει αυτή η δύναμη…Να είστε πάντα καλά και να δίνετε τέτοια παραδείγματα στους νέους της άχαρης εποχής μας…. Εύγε κι ο Θεός μαζί σας! Αν και δεν σας ξέρω, τα θερμά μου ΣΥΓΧΑΡΗΤΗΡΙΑ για το θάρρος, αλλά προπάντων την υπομονή και επιμονή που δείξατε στις ακραίες συνθήκες/περιστάσεις. Εύχομαι ΚΑΛΗ συνέχεια σε προσωπικό και επαγγελματικό τομέα. Ωραίες εμπειρίες …. τυχερός θα έλεγα … τι άλλο από που είσαι ??? αντιλαμβάνομαι ότι ήταν για σένα εμπειρία ζωής. Μπράβο. ακούσεις απο τους εκεί επιστήμονες, αν κατά καιρούς υπηρξαν ραδιοερασιτέχνες που πιθανόν στον ελευθερο τους χρονο να έκαναν επαφές (ασύρματη επικοινωνία) με αλλους σταθμους στο υπόλοιπο κόσμο. Πριν από πολλα χρόνια είχα κάνει μια τέτοια επαφή με μια επιστημονική βάση στην ανταρτική, που μου έχει μείνει αξέχαστη. Δεν μπορεσα να βρω τα στοιχεία ωστε να επιβεβαιώσω αν ήταν η ίδια βαση, δεν θυμάμαι.Θα χαρω πολυ αν μου απαντήσεις. Ευχαριστώ για το σχόλιό σου. Το διάστημα που ήμουν εγώ στη βάση Concordia δεν υπήρχε κάποιος ραδιοερασιτέχνης που να προσπάθησε να κάνει εκπομπή. Είχαμε ασυρμάτους και κάποιες φορές ακούγαμε σα φαντάσματα σπαστούς ήχους από «κοντινές» επιστημονικές βάσεις (σε αποστάσεις 600-1000 km), αλλά κατά τα άλλα όχι κάτι το στοχευμένο. Επίσημος ραδιοερασιτεχνικός εξοπλισμός δεν υπήρχε. Φυσικά μπορεί κάλλιστα κάποιο έτος να έγινε και αυτό, ακόμα και στα πλαίσια ερευνητικού προγράμματος, αλλά δε γνωρίζω κάτι σχετικά.